The San Jose Blog: Guadalupe River Park Expansion! Great news today. 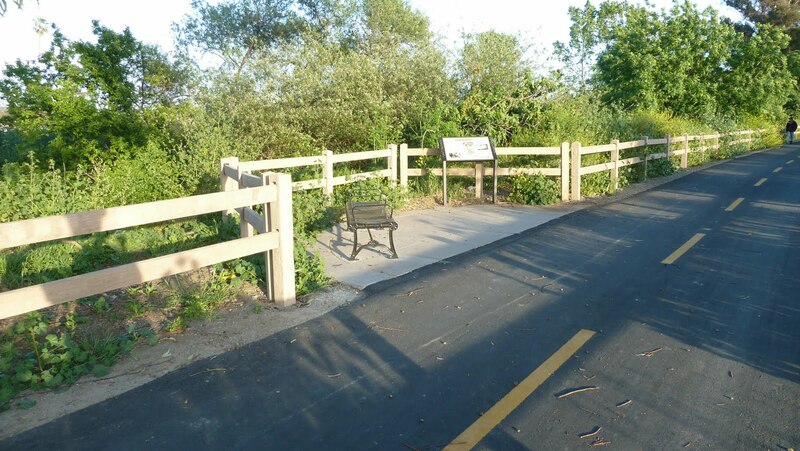 Yves from the Department of Parks, Recreation & Neighborhood Services wants to share information regarding an expansion to the Guadalupe River Trail. I'm hoping that one day this will become our Central Park, and it's already off to a great start. If you haven't walked it lately, now is a great time to check it out. Full info on the improvements below. I wanted to share some good downtown news with you and your readers. The City of San Jose has been developing an extension to the Guadalupe River Trail over the past year. 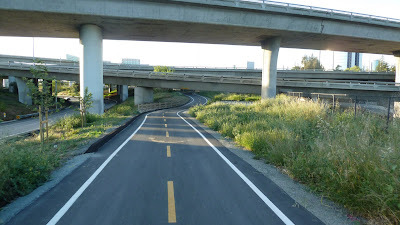 The project starts at the Woz Way, near the Children’s Discovery Museum and follows the west bank of the river along the parking lot, beneath the freeway interchange and leads to Virginia Street. The 0.4 mile extension provides views of the river and busy urban scene. 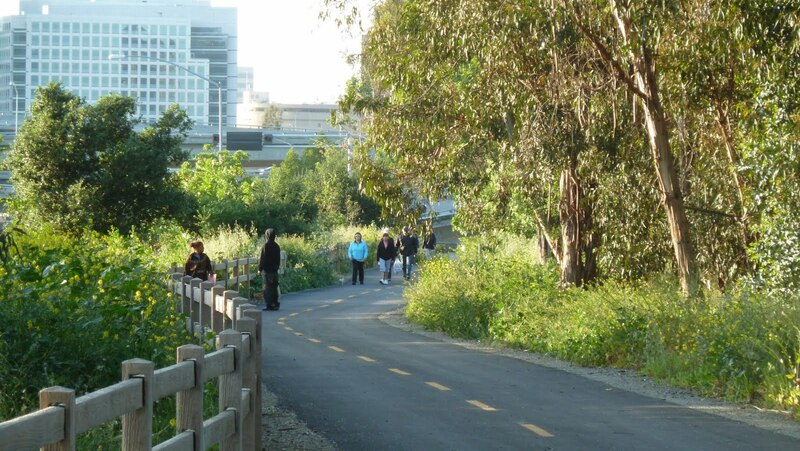 Along the way, trail users can stop to enjoy two interpretive signs; one discusses “Goosetown” (Italian immigrant neighborhood) and the other shares information about the Ohlone tribes that lived along the river. Decorative pavement at both Woz Way and Virginia Street greet visitors and helps to draw attention to this new recreational and bike commuting resource. 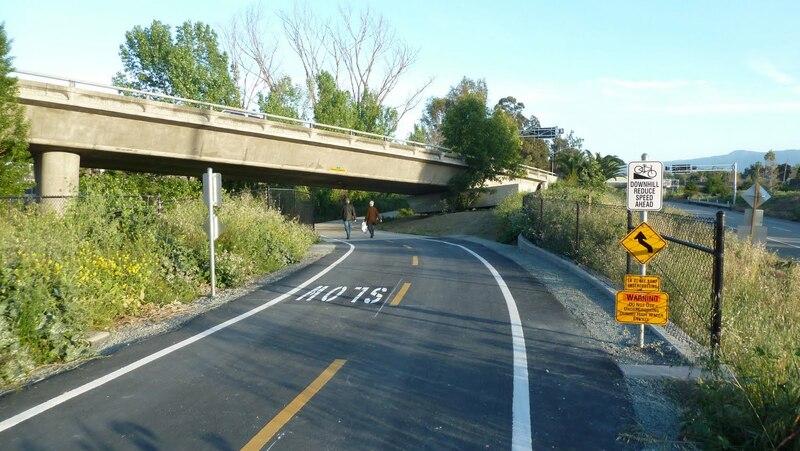 This project came together because of collaboration between the City of San Jose, Caltrans, Santa Clara Valley Water District, Army Corps of Engineers and the State Resources Agency. Please don’t hesitate to contact me if you have any questions about the project or trail development throughout the City. I enjoy reading your blog every morning and am happy to finally be able to share a contribution. I can't wait for the completion of this project. It's embarrassing the litter, trash, and dead trees and bushes along this trail. It could become a drawing point for many people outside San Jose, but as it is now, I stay away because of the way it looks. That's why I try to pick up any bits of trash I see while on the trail. There's always a trash can near by. I have too... but I'm talking about in the river itself. What I'm saying is that for a community that takes pride in caring about the environment, this trail does not reflect that same care.